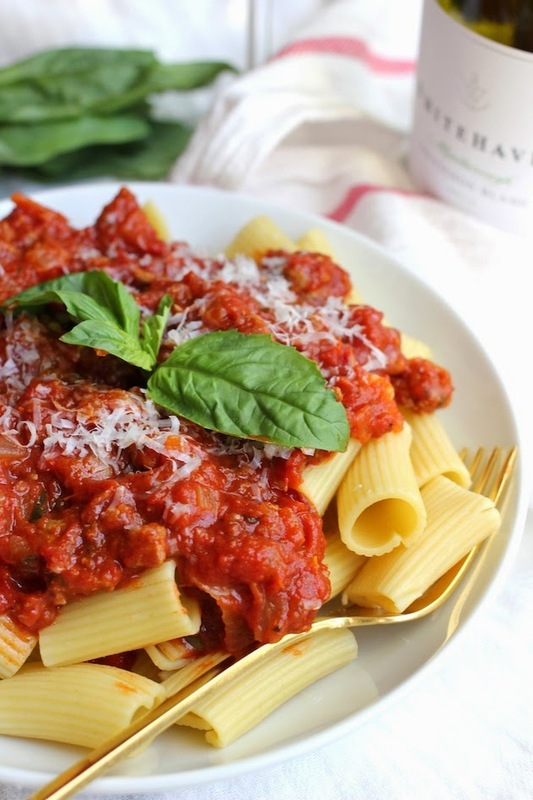 Savor Home: THE BEST ITALIAN TURKEY SAUSAGE PASTA SAUCE... EVER. 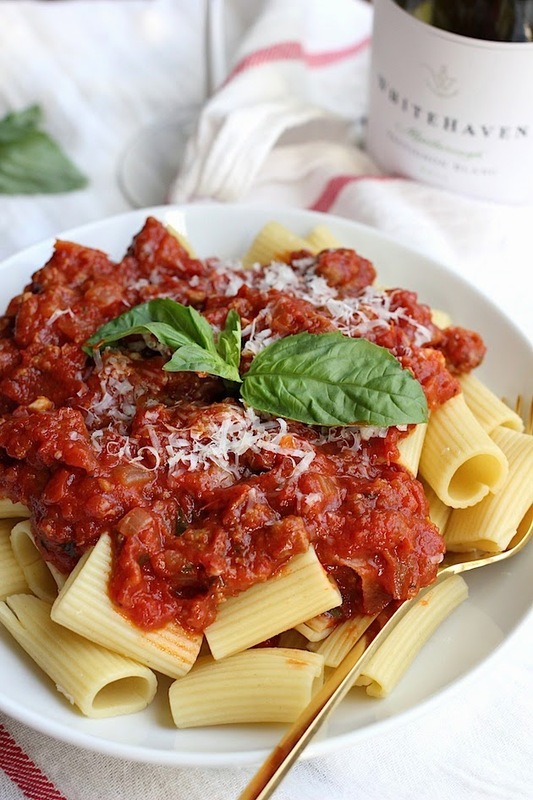 THE BEST ITALIAN TURKEY SAUSAGE PASTA SAUCE... EVER. 1. Heat the olive oil in a 10 to 12 inch skillet over medium-low heat. Add the chopped onions and cook them for about 5 minutes or until translucent. Add the garlic and cook for 1 more minute. 2. Add the sausage and break it up with a wooden spoon or fork. Cook the sausage for about 8-10 minutes, or until its no longer pink. 3. Add the crushed tomatoes, tomato paste, parsley, basil, salt, pepper, and red pepper flakes (if using). Stir the sauce and let it simmer over medium-low heat for about 20 minutes until it has slightly thickened. Serve hot over your choice of pasta. Enjoy! That looks absolutely delicious. I'll have to try that this weekend. Yum!! I love the recipes you share!! This looks like a winner!